Let me disappoint you. This article won’t be devoted to some of the age-old topics like “iOS vs Android,” “Google vs Apple,” or “App Store vs Google Play Store.” We aren't going to advocate one or the other of these vendors or their operating systems, nor are we going to give any subjective opinions as to which platform would be better for your business. What we really want to do is to tell you what to expect from the Google Play Store and the App Store when you launch your first mobile application. This piece is about the bare facts, plain and simple. We know – statistics can be really boring. But it’s necessary to understand the size of the platform you’re going to enter into. Here are a few facts and figures that a nascent entrepreneur may find helpful. There are 2 million active apps available on Apple’s App Store today, according to Statista. This number has grown significantly increase, especially considering that there were only 5,000 apps on the store at the end of 2008. But how many apps are being released each month on the App Store these days? According to data compiled by Pocketgamer.biz, developers are currently submitting around 4,000 apps per day on average. A record number of apps – 160,665 – were submitted for approval by Apple in September 2016, with the mobile game category accounting for 29 percent of that figure. Meanwhile, the total number of apps downloaded from the App Store reached the 140 billion mark in September 2016. Even though these figures may seem impressive, downloads don’t always correlate with retention. Unfortunately, 25 percent of all mobile apps downloaded by users worldwide are only used once during a six-month period after installation. As of November 2016, there are nearly 2.5 million apps available on the Google Play Store. The current rate of this platform’s growth is about 1,500 apps per day. According to App Brain, there were around 65,000 new apps added to Google Play during October 2016. At the same time, the total number of applications downloaded from Google Play has recently passed the 65 billion mark. How much does it cost to distribute an app on either the Google Play Store or the App Store? This is probably the key question bothering most app developers. But it’s not only an affordable platform entry fee that matters. It’s also important to weigh the opportunities you get once you pay this fee. Let’s find out how much you need to pay to access the App Store and the Google Play Store, and consider what benefits you’ll get once you part with your money. You’ll need to pay as much as $99 a year to build and distribute your mobile products on the App Store. That’s to say, you need to become a full member of the Apple Developer Program. But what’s included? Let’s see. First of all, you get access to all of Apple’s cutting-edge technologies that allow you to build really hot and engaging applications. These technologies include Apple Pay, Maps, HealthKit, HomeKit, and others. Apple kindly provides you with all the necessary tools (think SDKs and APIs) to build pure and truly compelling user experiences. Second, you’ll get the opportunity to beta test your app before releasing it. Thanks to TestFlight Beta Testing, you can share early builds of your product with your internal team and get comprehensive feedback in no time. Up to 25 members of your development team can take part in beta testing if they’re assigned a Developer or Admin role in iTunes Connect. Moreover, each member can try your product on up to 10 devices. If your internal team’s feedback isn’t enough for you, you can also invite up to 2,000 independent testers to run your app on their devices just by using their email address. Every time you invite a new user, they’ll receive an email inviting them to join the ranks of the beta testers; they’ll also be prompted to install a free TestFlight app from the App Store for their iPhone, iPad, or any other iOS device. Once the beta version of your app is installed, TestFlight will notify testers every time a new build is available, offering an easy way to leave feedback and giving testers clear hints on where to focus. Third, you’ll get the opportunity to distribute your apps (including for iPhone, iPad, Apple Watch, Apple TV, and others) and Safari extensions via the App Store. There are no hosting fees or any concerns regarding payment procedures inside your app: Apple handles it all. But the company’s going to take a 30 percent cut of your sales revenue, as well as 15 percent for handling your app subscriptions. But that’s a topic requiring a separate article. Lastly, you’ll get the freshest insights on user engagement, marketing campaigns, app performance, monetization, and other metrics with App Analytics. Google is generally considered more loyal when it comes to abiding by their own terms and conditions of entering their Google Play Store. To register your Publisher Account, you need pay a $25 fee. But unlike the situation with Apple’s Developer Program, which must be renewed yearly, this fee is only paid once. Your account will be then associated with your Developer Console, “a home for publishing and managing your apps.” The Google Play Developer Console allows you to upload your Android apps, build product pages, manage in-app purchases and subscriptions, configure distribution, and publish and promote your apps. Google’s Developer Console provides a number of useful features that it easier to publish an app, but trying to summarize all of them in one short piece would be pointless. Below, we’ll try to cover only the most notable features. Since there are thousands of different Android devices in the world, it’s necessary to understand how well your app will run on many different devices. That’s the job of the Cloud Test Lab. 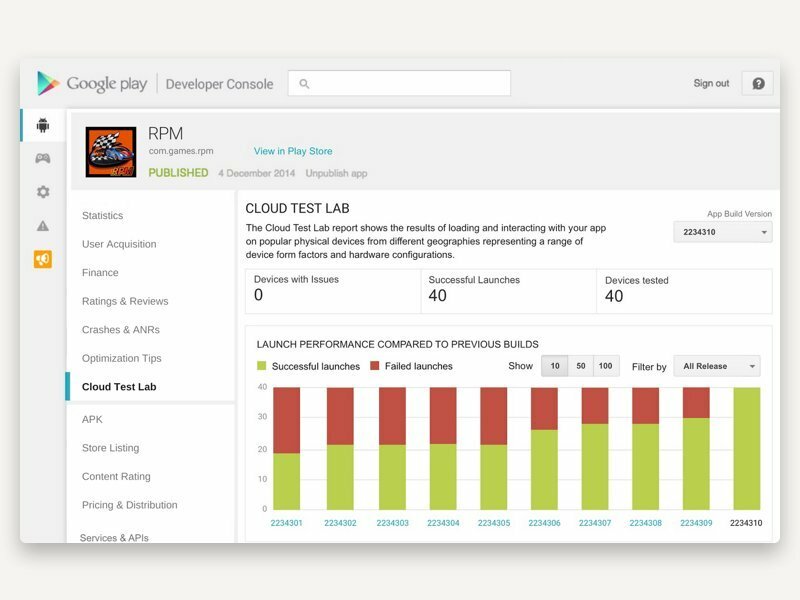 Thanks to Test Lab, you can try out your app on devices running in Google’s data center. This way, you can detect issues which may only occur on specific device configurations. Alpha and Beta tests allow you to collect impressions of early versions of your app from real-world users. You can distribute your pre-release app to testers either as an open beta (using one-click, opt-in links), or as a closed beta (using an email list, Google+ circles, and Google Groups). The valuable insights you can gain from alpha and beta testing can help you polish your product to perfection at its early stages without the humiliation of any public fails. Additionally, you can resort to staged rollouts, a feature which lets you discover and fix issues with a group of devoted users before the official “gala release” of your app. With staged rollouts, you can release updates consistently, and to an increasing number of users. This approach allows you to detect and eliminate problems before an app reaches a wide audience. So you’ve done your best to build the perfect application. What’s next? How do your submit your app for approval by Google or Apple? For a long period of time, Apple was thought to have the most severe and inquisitive ‘quality control’ process. To make sure that your app complies with all the company’s guidelines and doesn’t contain any sort of code that can harm customers, Apple could torture your product for up to four weeks. But these times are past, and now it takes only up to five days for you to finally see your brainchild on the App Store. In addition to a quicker review process, Apple rolled out some other improvements with regards to evaluating already published apps this fall. As we already mentioned, there are around 2.5 million apps on the App Store. Sadly, some of them are never downloaded or haven’t been updated since day one. Since quality is very important to Apple, the company has decided to take control over the situation and began removing all abandoned and poor quality apps, which don’t comply with Apple’s current review guidelines, from the App Store. App developers will be informed about any problems with their apps by email. After that, they have a month to fix these problems and submit an update for review – otherwise their app will be removed. Quicker app releases had for a long time been one advantage of the Google Play Store over the App Store. It generally took around a week for your app to be reviewed and released on the Android app distribution platform. Previously, Google Play relied heavily on complex algorithms to scan its apps (with no humans involved) so they could be released quicker. But Google recently disclosed that it now has “an internal team of reviewers” who will carefully examine all submitted apps before they go live on Google Play. But this move doesn’t have any impact on approval times. One of the greatest improvements to the revision process for Google Play, however, is the pre-launch report which can be manually enabled in your Developer Console. Once activated, this report gives you the opportunity to see all bugs and crashes before you even release your app. How can you earn money from your mobile application? Well, this all depends on the business model you adopt. It may seem that the easiest way to start earning money is to nail a price tag to your application. But making apps paid isn’t the best idea, to be honest. The thing is, most users are scared away by a price tag, even if it’s just $0.99. Since 2013, the best price for an app has been zero. But don’t worry, there are still plenty of ways to monetize your app. There are at least three working monetization strategies – in-app advertising, in-app purchases, paid subscriptions – that can turn your app into a money-generating engine. Apple and Google kindly provide all the necessary tools and features to make this work. First, we want to remind you that the transaction fee for applications and in-app products offered on the Google Play Store is equal to 30 percent of the selling price. Developers get only 70 percent of total revenue, the rest going to cover hosting fees and Google’s hard work. In-app advertising is one of the most popular monetization models used in 2015, according to Statista. Around 31 percent of app developers prefer in-app ads as their main monetization model. You can choose among various ad formats to integrate into your mobile app. With ads, you can generate revenue based on the number of ad clicks within your app. The rules are simple: The more clicks an ad gets, the higher your profit. AdMob by Google is a mobile advertising platform that provides easily-integrated SDKs to display AdMob ad banners within your app. In-app purchases are the second most popular monetization model used to generate revenue without charging users for downloading your app. 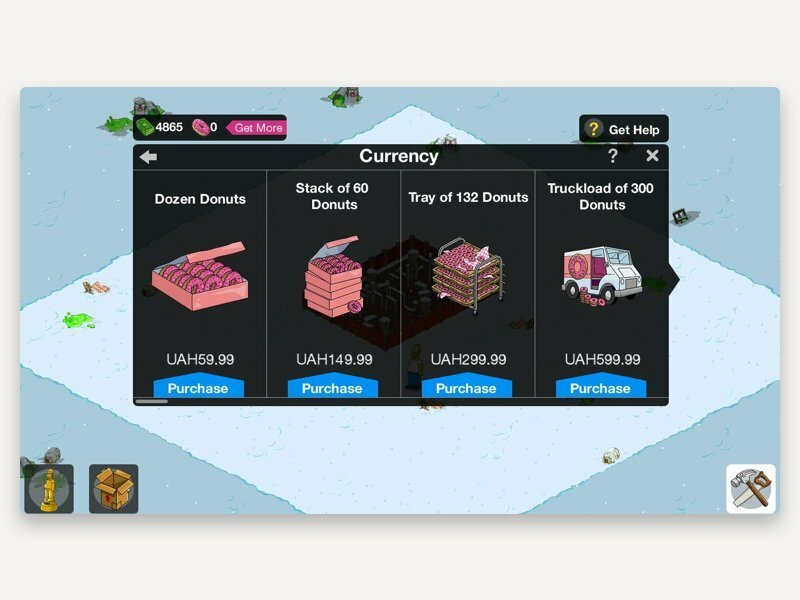 In-app Billing is a Google Play service that lets you sell a wide range of digital goods (media, game levels, potions, ammunition, etc.) from within your Android application. This service can be integrated with your app using a special SDK and APIs provided by Google. And, of course, Google handles all checkout details, so your app will never deal with any sensitive user data and financial transactions on its own. In-app Billing is also used to sell in-app subscriptions. Subscriptions let you sell products with automatically recurring billing at a variety of intervals (monthly, yearly, etc.). Subscriptions are handled through your Developer Console. Like Google Play, the App Store has been offering a 70/30 split to app publishers. However, there are some improvements coming along: In subsequent years, apps with subscriptions will see a generous 85/15 split. What’s more, subscriptions will be available to all apps across all categories – even games. Previously, a subscription-based model was limited to certain categories including cloud services, media streaming apps, productivity apps, dating apps and news apps. 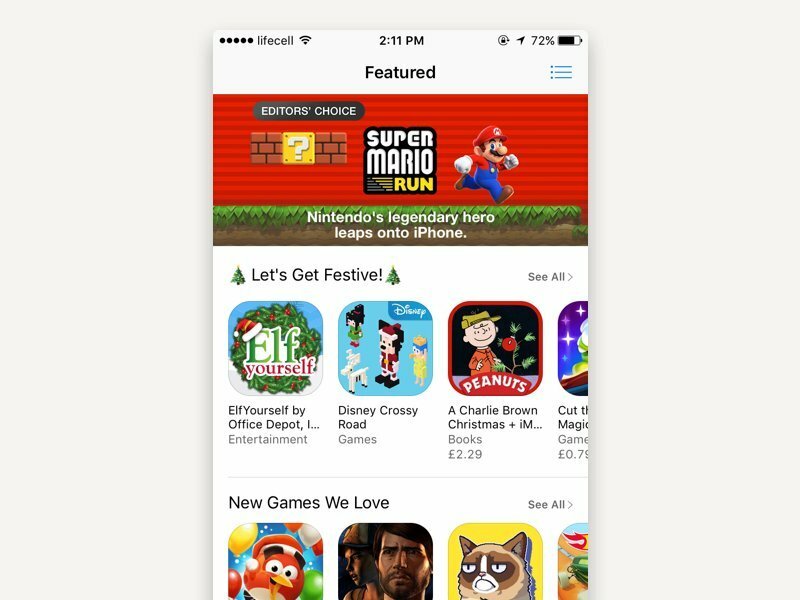 To enable in-app purchases in an iOS app, Apple offers its StoreKit framework, which allows you to sell a variety of items including subscriptions. In previous years, Apple offered its iAd network, which allowed app owners to generate revenue by displaying in-app ads as well as to promote their applications. Unfortunately, this service was shut down in July 2016. All revenue generated via the network was paid out to developers this fall. Marketers know that making your app stand out on an app store is as hard as building it. That’s why you simply can’t get away with poor App Store Optimization. Even though the success of your app depends on the amount of effort you put into ASO, both Google and Apple do their best to help you. Google Play Early Access is a new section on the Google Play Store where you can see new and upcoming products (either not yet released in beta). Another great improvement is the Collections section, which recommends contextually relevant apps instead of featuring related apps or apps that others have downloaded to their devices as was done previously. Developers can use AdWords campaigns to promote your app across Google’s networks – Google Play, Google Search, YouTube, and more. Advertising campaigns are generated in your Google Play Developer Console. 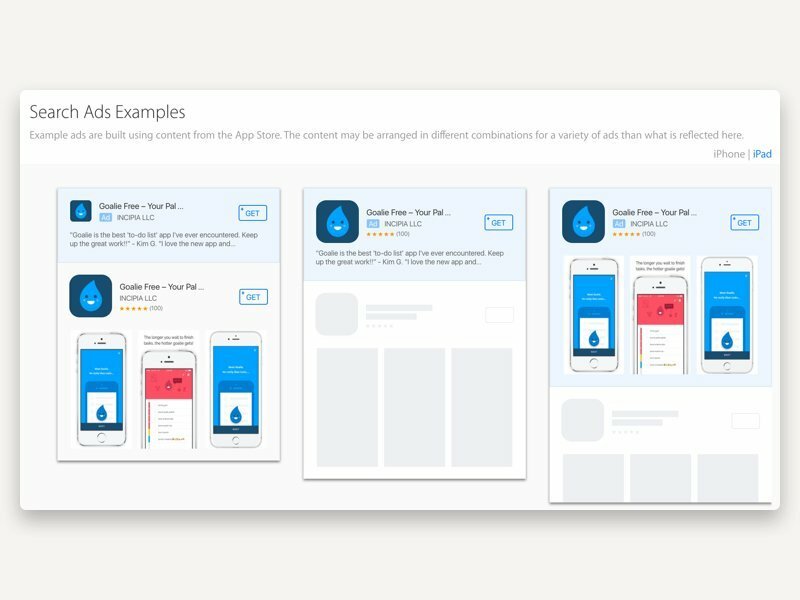 Apple believes that “powerful marketing communications will help bring continued success for your apps.” That’s why they’ve prepared really great App Store marketing guidelines to guide you down a path to success. Among recent changes to the App Store, there’s one closely connected to ASO. In an effort to make the App Store more user-friendly, Apple has imposed a prohibition on long app names. So starting September 2016, names for new apps – and names of updated apps – must be no longer than 50 characters. And, of course, Apple is trying to address the app discovery problem on its platform. First of all, Apple decided to change its “Featured” section, which now doesn’t recommend apps you’ve already installed, but shows only new apps. What’s more, Apple promises that its App Store will be refreshed more often with new content in future. Perhaps the biggest improvement of all is the rollout of Search Ads. These are meant to improve app visibility via search. To avoid any ad copy or cheating, Search Ads use metadata and imagery provided by a developer when they submit their app for review or update. Search Ads on the App Store are available via the second-price auction system, so app publishers can bid to make their ads appear in the first position in search results. Well, that’s it for today. Keep this ‘tiny’ cheat sheet at arm’s reach and refer to if you have any questions about what to expect when you go to publish your app on the App Store of the Google Play Store.